Who are you? Why are you? What makes you personally tick? Why do you do and like the many things that you do? Why do you dislike what repels you? What makes you different? Why are you living where you are rather than at some other point on Earth? How well do you know your true self? How well do you know your potential? Do you know how to let go of old habits? Do you understand how you hold yourself back? Do you know how to make the best of opportunities that present that could help you? Every person is individual, but we are not just sealed, separate working units, we interact and connect back to life and to one another in a very real physical” but invisible way. More occurs on levels unseen to affect and effect you than you realise. But do you know just how powerful you are? That you have the amazing ability to make or break everything that you put free will into? That you are destined to succeed in all you undertake” and not fail? You are not powerless” but powerful. You are not the victim of a cruel uncaring world, but the driver, the creator of everything that occurs along your time line. You daily send out live signals to wider life as instructions that it then in response must adhere to. You create life” you are nobody’s victim or fool. How to know yourself better is an exciting topic that I have worded on for over two decades. 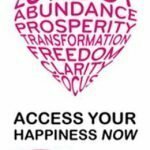 My easy to use and apply material is a brilliant support structure that will guide you through all live occurrences, completely in sync with where you are in life now and with what’s playing out in your time frame. Many are great at helping others but they are rubbish at helping themselves. This can be turned around easily with information that presents at the time it is required every day. How would you like to be empowered; to know how to love yourself; how to care for yourself properly; how to understand and accept responsibility for what’s happening and more importantly to know how to fix it; how to win through almost anything that shows up” i.e. now more curved balls that you can’t deal with, no more shocks or surprises that will bring you down” for you’ll have all tools necessary to deal with|All these are things and more you are capable of! To be happy for the rest of your life is yours by birth right. Are you ready to make it your reality? If you have enjoyed what you’ve just read, if it’s resonated within at any level, then the material we’ve channelled/downloaded will work directly in tune with you now. You know all you have been through and all you have faced, as well as thoughts you are currently thinking. You know how you feel and what you most need to come in. You know also what is happening within your circles inner core” and it’s from this point immediately that guidance will be given” to take you forward, to get your whole life working better, completely in tune with where you are! If you continue along the same lines that you always have” you’ll only get more of the same. For things to get better, for you to get healthy, happy and care free, you need to understand how you hold yourself back, how you program this life as you do.